Following on from 100 Best Routes on Scottish Mountains and 50 Best Routes on Skye and Raasay, this new volume of fifty routes, updated from the hardback edition, completes Storer's best-selling series of guidebooks to the best of Scottish hillwalking. 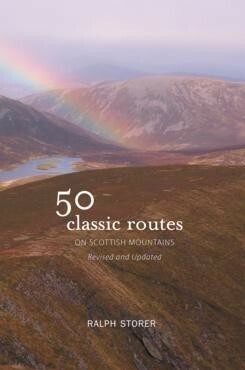 Like its companion volumes, 50 Classic Routes again ranges across the Highlands and Islands to provide an outstanding cross-section of routes, from gentle hillwalks to thrilling scrambles, from popular Munros to less well-known but equally rewarding mountains that will be a revelation even to those who think they know the Highlands well. All routes begin and end at the same place, are accessable by road and include a peak over 600m/2,000ft. Route descriptions are detailed yet concise, and each is accompanied by one of Storer's helpful at-a-glance route grids, which give ratings for technical difficultym terrain, seriousness and foul weather navigatability. The book includes a map of each route and a selection of photographs.